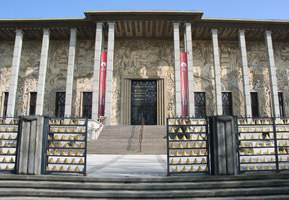 In 1931, at the height of its influence as a colonial power, France hosted an event called the International Colonial Exposition in the Bois de Vincennes in Paris. In this month's Paris Insights, we take a look at the Colonial Palace, a monument that was built for the exposition and to celebrate the glory of French imperialism. A large guilded bronze statue once stood on the steps of the entrance to the Colonial Palace. 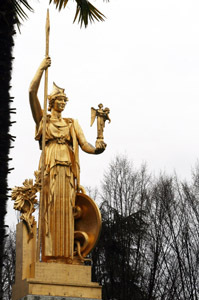 Read about its symbolism in this months Paris, Past and Present. 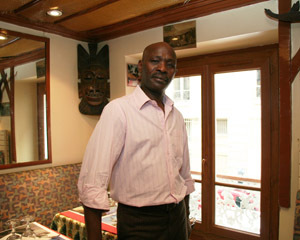 We had the occasion to dine at Le Dogon, a restaurant that specializes in cuisine from Mali and Senegal. Read our review in Le Bon Goût to learn about the delicious food that we enjoyed there and to meet the restaurant's owner, Bécaye Tounkara.